Have you signed up for Sailpast yet? We had a surprise visit from a new brewery in town... Skeleton Park, sampled their beer and immediately put it on tap! Their Amber 6.6 is a well-balanced European-style amber. Full bodied with a complex malt profile. It finishes with a crisp hop bitterness and unfolding esters on the nose. Up next, come in, and find out! Thank you to everyone who stopped by the wine station during the Food & Beverage fair. After tabulating your voluminous feedback, we have decided to feature two wines this month. We would like to welcome the following new members this month! We would also like to thank Lindsay Fair, Ursula Thorley, and Phil Hart for proposing the new members. With our new members this week, our total new members for the 2016 season is now 40 members and growing (daily)! This week Sail Canada announced the members of the 2016-2017 National Sailing Team. Our own Robert Davis and Ali ten Hove were named to the Team! Help us congratulate and cheer on Robert and Ali and the rest of the Canadian National Team! The competitive sailing season is upon us and the Corinthian Fund is accepting applications from our young sailing athletes for support. Please see the KYC website for the application and guidelines. The History of the Corinthian Fund is also a very interesting read to see how it all started 37 years ago. 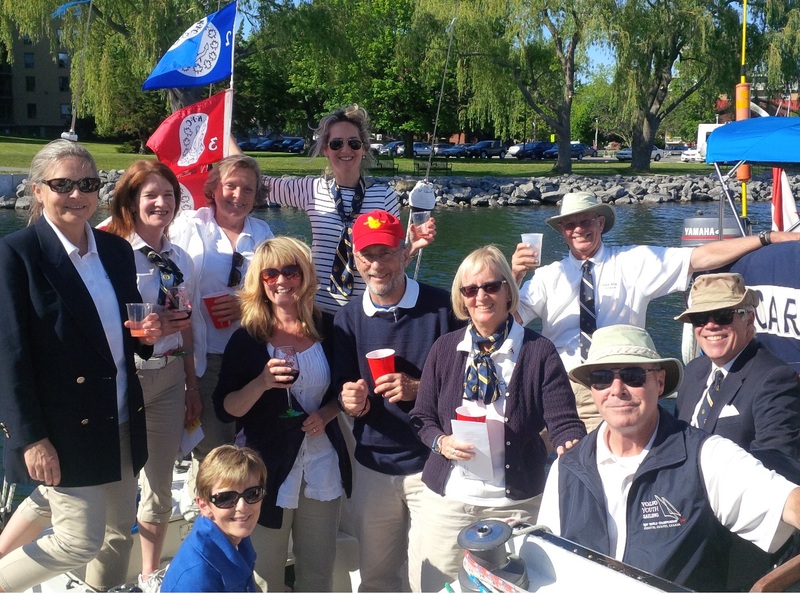 Over those many years we have been able to help our sailors attend the regattas necessary to move forward to Provincial, National, Pan Am and Olympic Teams. This year at KYC we are extremely proud to say we supported Olympic Team Member Dani Boyd at a younger age and now she is preparing for Rio, to compete for Canada, Kingston and KYC . In 2015 Pat Wilson and Ari Moffatt represented Canada at the World Youth Championships in the Men’s 420 event . They are hoping for a repeat in 2016 . You may have already seen them training on the water this spring in all kinds of weather conditions. Robert Davis has been supported by the Fund and is vying for an Olympic birth for Rio. Ali TenHove crewing in the Women’s 470 class is an up and coming Olympic caliber sailor and we hope to see her in 2020 in Japan. KYC members should be very proud of the many successes our sailors have achieved. We will continue to welcome our young members and hopefully we will be able to “Pay It Forward “ for many generations to come. If anyone has specific questions regarding the Corinthian Fund please contact Gord Crothers at gordoncrothers@gmail.com Other members of the committee are Harry Jemmett, Ross Cameron, John Curtis, Don Ruddy and Peter Candlish. They are available for any questions as well. We wish everyone the very best for the Summer of 2016. The Club pays to make available and pays to maintain electricity to as many boats as possible. Please remember, the use of this electricity is not covered in the mooring fees. As usual our fine Gas Dock Attendants will do their best to oversee which boats are plugged in. We track this usage and follow up by charging your account. (This does not apply to the plugging in of power tools for temporary work). For those who are always in need of power (and have marked off that you wish us to Bill you) we have created a special sticker (tag) that you can attach to your cord which asks to Not to be unplugged. These can be picked up in the main office.